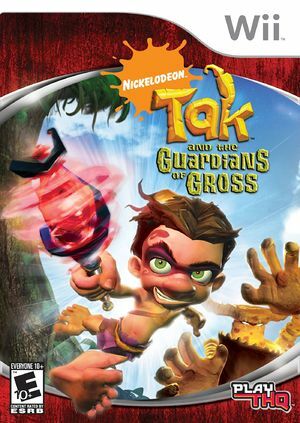 Tak and the Guardians of Gross follows the shaman's apprentice as he visits the Spoiled Shrine and accidentally removes a strange crystal that explodes and releases the four giant Grosstrosities. Using all new "parkour" style of gameplay, players will be running on walls, sliding down poles, and swinging on vines to navigate action-packed levels. The graph below charts the compatibility with Tak and the Guardians of Gross since Dolphin's 2.0 release, listing revisions only where a compatibility change occurred. This page was last edited on 13 January 2018, at 14:24.